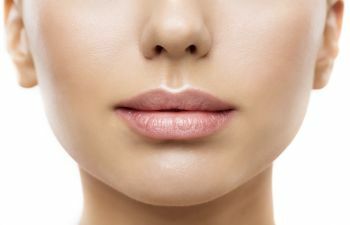 Is the shape, fullness, or contour of your lips playing an impact on your appearance or quality of life? Here are three types of cosmetic lip repair treatments that we perform in our Manhattan practice. Repair of cleft lip and palate are some of the most complex and demanding types of facial plastic surgery that we perform. Because clefting affects individuals beginning from a very young age, planning out growth and future surgeries until facial development is completed takes extreme levels of accuracy and intuition. The results of your investment are forever visible for the world to see, so it’s best to make the smart choice to see an expert that focuses on these areas. Are you unhappy with previous cosmetic or plastic surgery done around your mouth? Perhaps injectables or dermal fillers left you feeling as if something was lacking? Dr. Rousso is certified by both the American Board of Otolaryngology – Head & Neck Surgery and American Board of Facial Plastic and Reconstructive Surgery, making him one of the top specialists in New York City when it comes to addressing cosmetic surgery needs around the mouth and lips. The anatomy of your lips can have a tremendous impact on your speech patterns, speaking abilities, and your nutrition. Plastic surgeries involving lip anatomy serve both functional and health needs that benefit your overall lifestyle and confidence. When it comes to the shape of your mouth and lips, trust your care to our NYC double board-certified specialist, Dr. Joseph Rousso, MD FACS. We serve clients throughout Manhattan, Queens, and the United States. Book your cosmetic lip surgery consultation in NYC today.